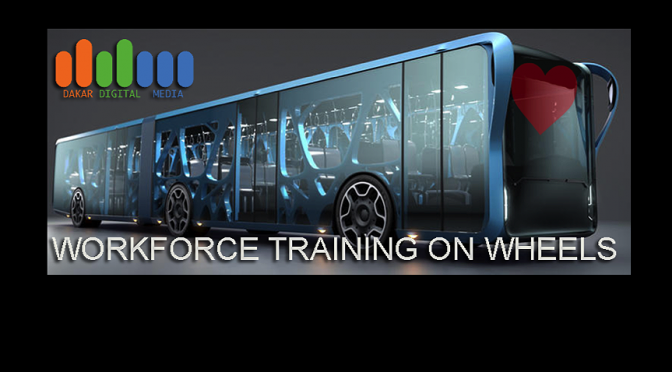 Dakar Foundation is in discussion with Hart Beat Digital to build a mobile Digital Media Makers Lab, that has a mobile touring component that advances and showcase the facility on wheels. The hottest idea on wheels is and Augmented/VR lab on wheels. Dakar’s targets underserved school districts to put STEAM on wheels and serve Los Angeles County students with a mobile digital production lab that can dispatch backpack-journalism kits; cameras, laptops, and 3-D printers, as well as digital media professionals doubling as mentors. Our newest collaborator Mobile Film Classroom (MFC) has provided Dakar with a case study to analyze the cost-benefit analysis of such a system that we plan on taking to our advisors for the recommendation for partnership and funding. A proposed mobile facility will not only teach students more about how and why to create technology but that what they create will itself impact their community, and provide an on-ramp for career work development. “What we’re proposing is STEAM students would experiment with digital creation and storytelling without barriers to transportation. Mobility will provide access to facilities where they can produce and innovate everything from mobile live broadcast production to augmented and virtual reality creation. Mentorship will undergird the effort and enable students to create what they would ordinarily consume, as well catalyze storytelling ,self-publishing and distribution methods, and sharing of formulas for succeeding outside of the box. Recent workforce development research estimated that, by the year 2020, there will be a 15 percent increase in jobs where storytelling is needed. The keys to making the initiative a success will be building a group of committed community mentors who will be trained on best practices on mentoring in a digital age.